The USS Ronald Reagan aircraft carrier along with a guided-missile cruiser and a nuclear-powered submarine are on their way to the Korean Peninsula to prepare for a potential war with North Korea, while Pyongyang reportedly plans new missiles tests. As of Friday afternoon, the USS Ronald Reagan, with nearly 80 aircraft on board, was in the South China Sea on its way to the shores of US ally South Korea. The two allies will conduct joint drills to detect, track, and intercept ballistic missiles, in addition to anti-submarine warfare training, Yonhap News agency reported, citing an unnamed South Korean official. The official said the military exercises will likely be held around October 20. 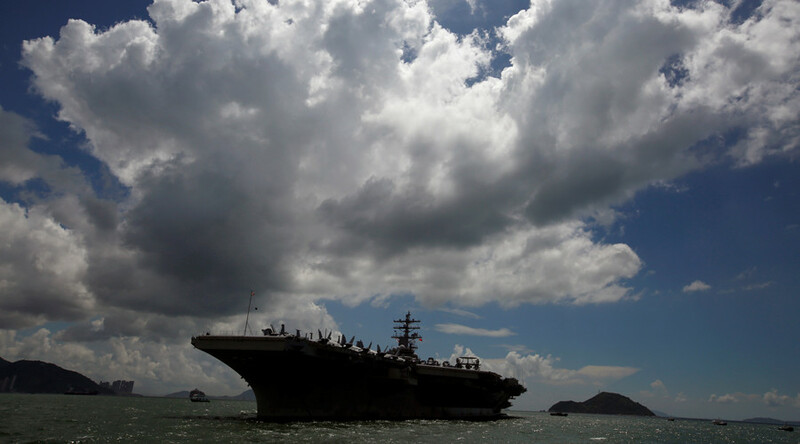 The drills are to prepare the US military to defend its allies as well as maintain stability in the area, Rear Admiral Marc Dalton, commander of the USS Ronald Reagan’s strike group, told the South China Morning Post. “The United States has been very clear about leveraging all options in order to get North Korea to change its path,” Dalton said. Meanwhile, Russian lawmakers who visited North Korea this week said Pyongyang told them that it is planning to test a new long-range missile. “They even gave us mathematical calculations that they believe prove that their missile can hit the west coast of the United States,” Anton Morozov, a member of the Russian parliament’s international affairs committee, said Friday, according to RIA Novosti. 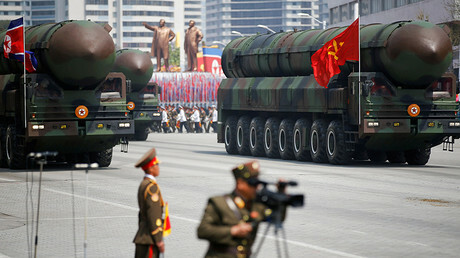 “As far as we understand, they intend to launch one more long-range missile in the near future. 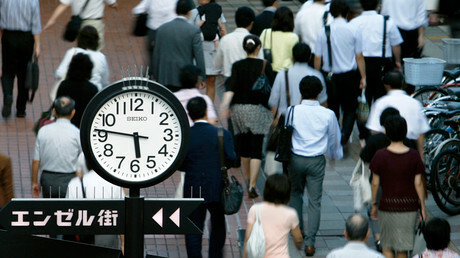 And in general, their mood is rather belligerent,” Morozov said. North Korea has carried out a series of nuclear tests over the past few months, in response to which the UN Security Council (UNSC) imposed several rounds of harsh sanctions against Pyongyang. Having approved the sanctions and condemned the North’s nuclear tests, UNSC permanent members Russia and China have recommended that all sides avoid provocative actions. In summer, Moscow and Beijing offered to try to strike a deal with the North, under which Pyongyang would cease nuclear tests and missile launches in exchange for the US and South Korea halting joint military drills in the region. Washington rejected the proposal. US President Donald Trump and the North Korean leader have since exchanged a series of threats, with Trump saying the US could “totally destroy” the North if attacked, and that Kim Jong-un, who he often refers to as ‘Little Rocket Man,’ “won’t be around much longer!” Pyongyang responded in kind, calling it a declaration of war and threatening to shoot down American planes and unleash a nuclear attack on the US and its allies. “We’ve been clear that now is not the time to talk,” White House spokeswoman Sarah Sanders told reporters Tuesday.